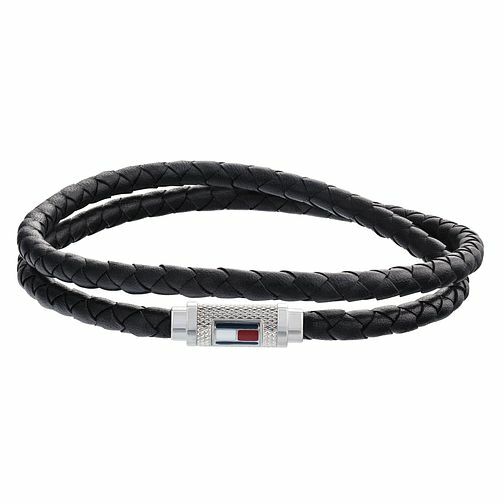 An iconic Tommy Hilfiger men’s black braided leather double wrap bracelet, featuring a barrel magnet closure and Tommy enamel flag. Inner circumference 19cm and length 40.5cm. Tommy Hilfiger Men's Double Wrap Braided Leather Bracelet is rated 4.0 out of 5 by 1.